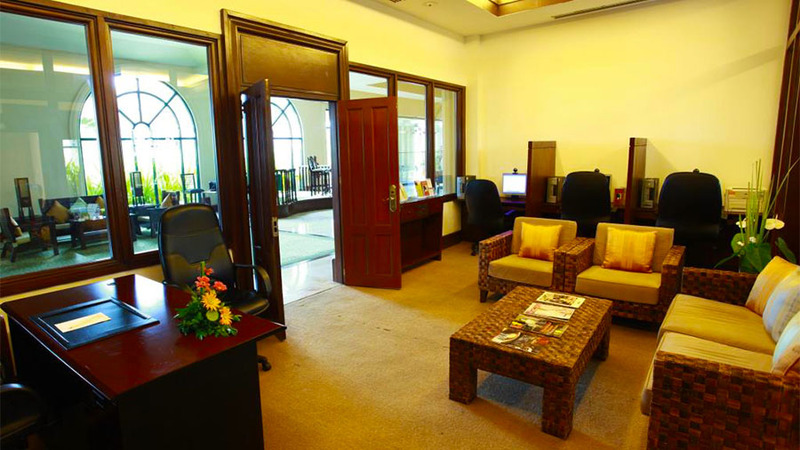 Waterfront Airport Hotel and Casino Mactan is a meeting point between high-class professional service and traditional Filipino hospitality. 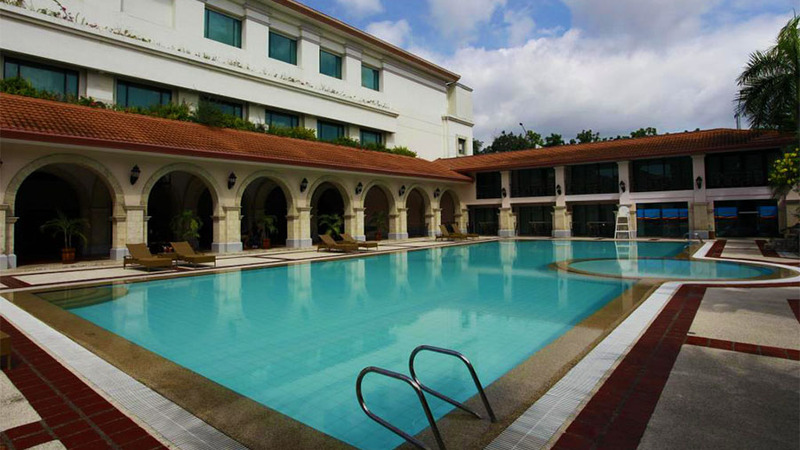 This four-star Hotel and Casino is located only 160 meters from the Mactan-Cebu International Airport and around 5.5 km from the Cebu North Bus Terminal. 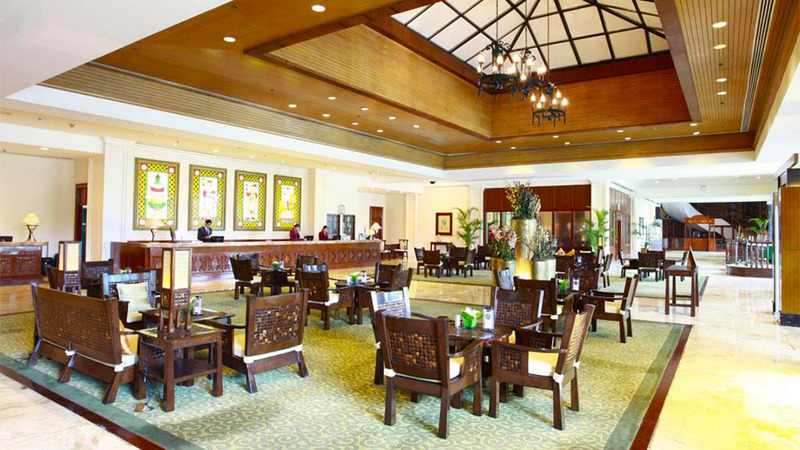 The first thing you will notice is luxurious, breathtaking hotel foyer. Marble, glass, a spacious open area with beautiful lighting is the best possible welcome to the surreal world of the Waterfront Airport Hotel and Casino Mactan. The Hotel’s cuisine is an interesting mixture of the best international meals and local tradition. Its rooms, gardens, facilities, and amenities represent the best possible environment for triggering one’s creative and analytical side. This is why a large number of our guests are businessmen. There are total 12 rooms. 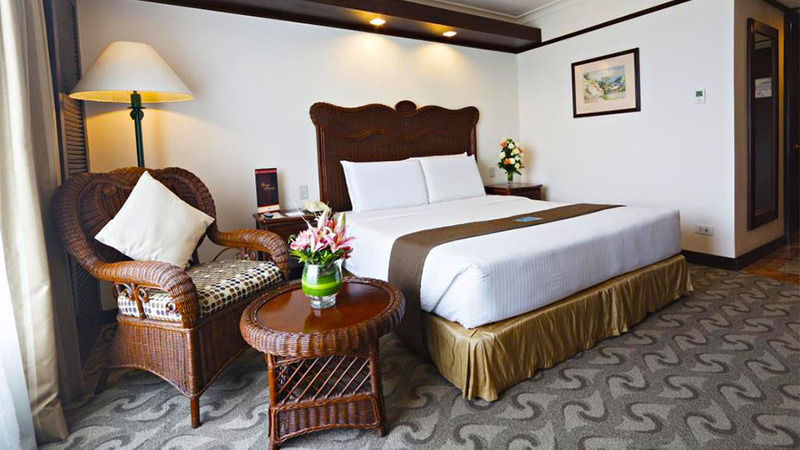 The rooms are different in order to accommodate different needs – there are three types of rooms: Superior, Deluxe, and Executive. Free breakfast is included and guests can ask for room service as well. All rooms have a view – either the view of the city or of the park. All rooms are equipped with a bathtub, hair-dryer, air-conditioning, safety boxes, a rich mini bar, free bottled water and free toiletries. You can stay in one of these rooms for as low as $84 per night. Choosing this Hotel is a great value for money. Large conference rooms, meeting rooms, and auxiliary facilities can accommodate a large number of people for the organization of different events, such as international and local symposiums, celebrations, parties, weddings and conferences. Sauna, steam room, casino, nightclub, bars, outdoor swimming pool, and fitness center, as well as spa center equipped with a high-quality sauna and steam room, are available for the guests. You cannot be bored at Waterfront Airport Hotel! 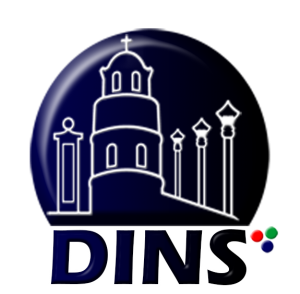 Our guests can book a tour with a professional guide or go sightseeing while our experienced babysitters take care of the kids. There is a hair salon, daily housekeeping, laundry service and luggage storage service, as well as express check-in/check-out option. One of the things to point out is full accessibility for the disabled. There are on-site car parking and a valet parking service. 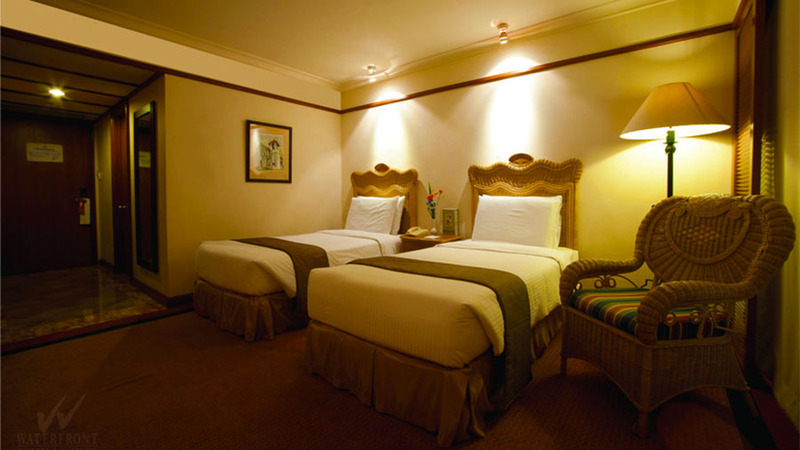 Children from 0 to 11 years old stay for free if they do not require additional bedding. 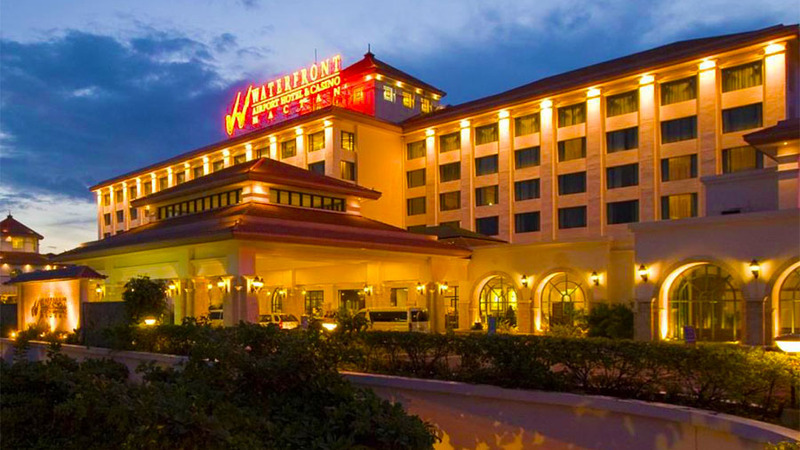 A wonderful, charming mixture of the traditional and the modern, east and west, Asian and international cuisine and technology and nature is the best description of the Waterfront Airport Hotel and Casino Mactan. Book your stay in advance and enjoy a perfect holiday!